OPEC, the 12-nation cartel of oil producers, will discuss Iran’s upcoming return to the global oil market in 2016, after financial and energy sanctions against it are scrapped, Iraqi Oil Minister Adel Abdel Mahdi said Sunday. 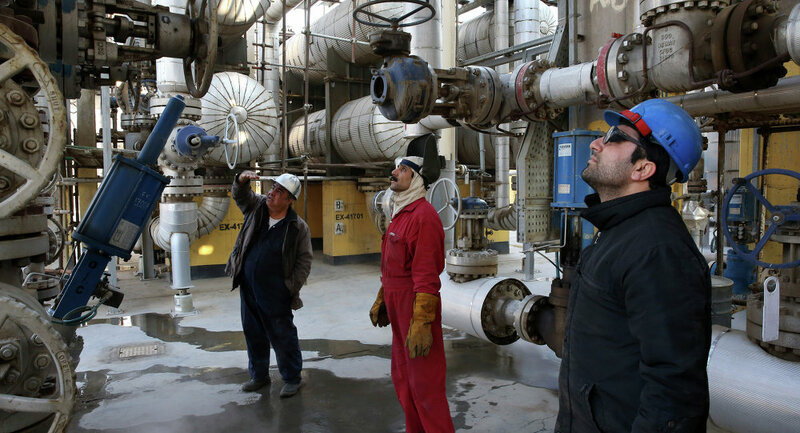 TEHRAN (Sputnik) — Earlier on Sunday, Mahdi met with his Iranian counterpart Bijan Zanganeh to discuss Iran's oil production and other oil-related issues in the wake of Tehran’s anticipated comeback next year. "We discussed everything, including the OPEC," Mahdi told reporters. "There is still no decision on the next meeting [of OPEC member states on December 4]. We will meet at the OPEC and thrash it all out." "We are aware of the complications and the situation [we are in], especially now that the Iranian sanctions are due to be lifted. Crude output will change. We are also looking at other factors – economic ones – that will affect the market," Mahdi continued. OPEC oil producers are due to meet on December 4 to assess the bloc’s production policy and the global oil market. Tehran is preparing to claim back its due share of the global oil market after the 2012 sanctions against its economy are dropped in early 2016. Iranian crude exports next year are expected to drive oil prices further downward; they have lost some 60 percent of their value since 2014. The Iranian oil minister said on Saturday that his country planned to boost oil production by 1 million barrels a day within the next 5-6 months. He added that Tehran doesn't need permission to increase its oil exports. Oil-rich Iran is not part of OPEC, which has an oil production quota for its member states in place. The oil production group agreed in June to keep their total output ceiling at 30 million barrels of crude per day, although Iran has accused OPEC of exceeding it.